Get yourself our pre-wired LED mod kit for the bottom bumper bar. Want to do it but would like to see how its done first?. Our highly skilled team of professionals have many years of experience in this industry. Extension port featured 2.5mm Audio connector for xbox 360 Headset. XBOX 360 CONSOLE. Can be use with a PC. New left and right shoulder buttons are designed for ease of use. Order made after 9am will be dispatched within 24hrs. 1 Mouse Keyboard Converter. Different speed levels selectable for the mouse;. 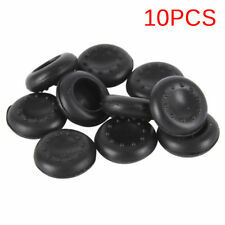 XBOX 360 Replacement Controller Joysticks Thumbsticks Black. 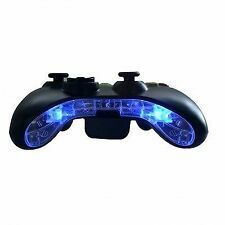 Perfect solution for XBOX 360. • Extension port featured 2.5mm Audio connector for xbox 360. all XBOX 360 & PC. • Headset c an be use with a PC. 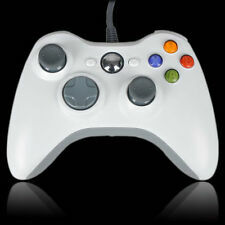 • New left and right shoulder buttons are designed for ease to use. Perfect solution for XBOX 360. 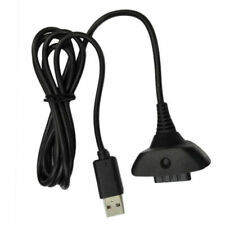 • Extension port featured 2.5mm Audio connector for xbox 360. all XBOX 360 & PC. • Six Analog buttons. • Headset c an be use with a PC. • Two Analog pressure-point triggers. 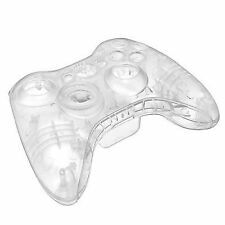 XBOX 360 Replacement Controller Joysticks Thumb sticks Clear Blue. Pattern picture! Item may differ from the photo. The Konsolenkost-Team wishes you a lot of fun. Our service for you! Cancellation Right. Condition of Use. Privacy Notice. South Korea. 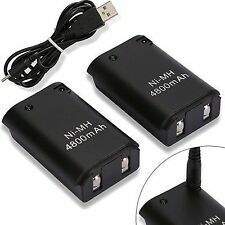 2X(Compatible with with Rock Band and Guitar Hero wired guitar and drums, Dance Pads & any other gaming devices that utilize breakaway connections. Protects the Xbox unit from "trip & smash" accidents. ). 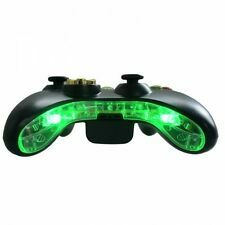 2X(5 bullet buttons for Xbox 360 game controller Electroplating paint, varnish never loses There are fashion, metallic feel, durability. It is convenient to return to the game. Easy to install. 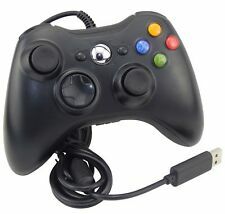 Suitable for Xbox 360. Simple application takes only seconds. Color:Dark gray. 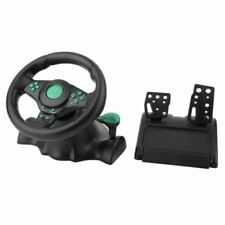 Features:Support Hot swapping technology for foot pedal.Realistic design lets you steer your car just like a real one.180 degree rotation is very convenient to use.Suction cups for extra grip, good for racing experience enhancement.Vibration feedback and spring loaded pedals for realistic gameplay.All gamepad controls and buttons are available on the racing wheel.Descriptions:Support D shock technology and key programming technology.For Xbox 360, for PS2, for PS3, and PC.Foot pedal has analog function in digital mode.Specifications:Material: ABSItem size: approx.26*22*25CMPackage size: approx.27*25.5*28CMColor: black&greenPackage included:1 x Gaming Racing Steering Wheel1 x Pedals1 x CD1 x User ManualNotes:1.Due to the difference between different monito.